Two rockets exploded in residential areas in the southern city of Eilat Wednesday morning without causing injury or damage. Initially it was reported that three rockets had been fired at Eilat but it was later discovered that only two hit the city. The rockets were apparently fired from the Sinai Peninsula but defense officials are also looking into the possibility they were fired from Jordan. The Iron Dome system deployed in the city detected the rocket launches but did not intercept the rockets. Immediately after the hits, the Eilat airport was closed to all incoming and outgoing flights but it was later decided to allow departures. A siren sounded in the city at around 9 am followed by sounds of an explosion. "It’s the first time there's an alarm," said resident Simon Bar-Zion. "It was really scary, I didn't know what to do as I have no TV at home; I saw everyone was staying indoors." Earlier this month, the Iron Dome's fifth battery was deployed in the Eilat region. 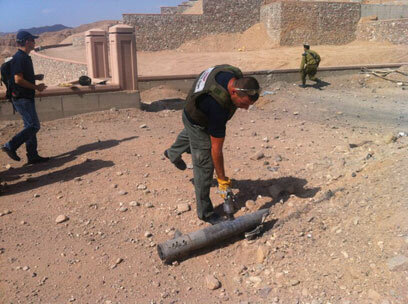 In June 2012, traces of a Grad rocket were discovered several miles north of Eilat. 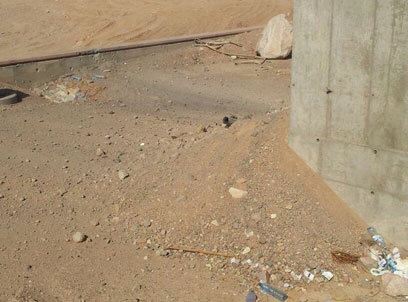 Defense officials estimated at the time that the rocket was fired from Sinai. 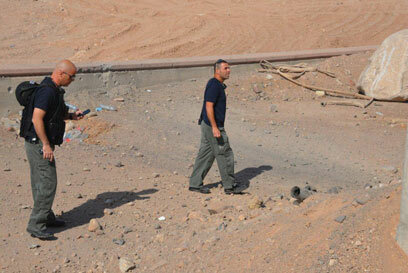 See all talkbacks "2 rockets fired at Eilat; no injuries "